I left San Pedro De Atacama Chile on the morning bus to Salta Argentina. 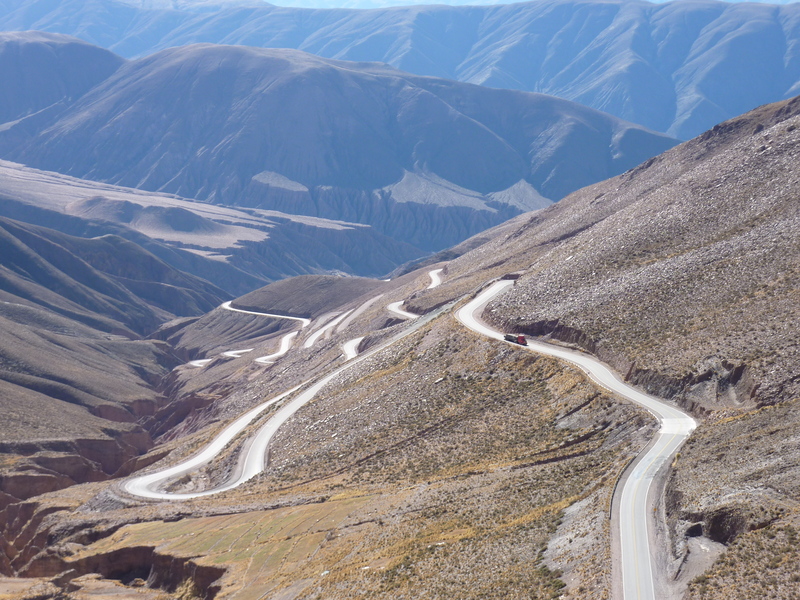 We crossed the Paso Jama boarder at an elevation of 4300 meters around midday on our way to Jujuy. 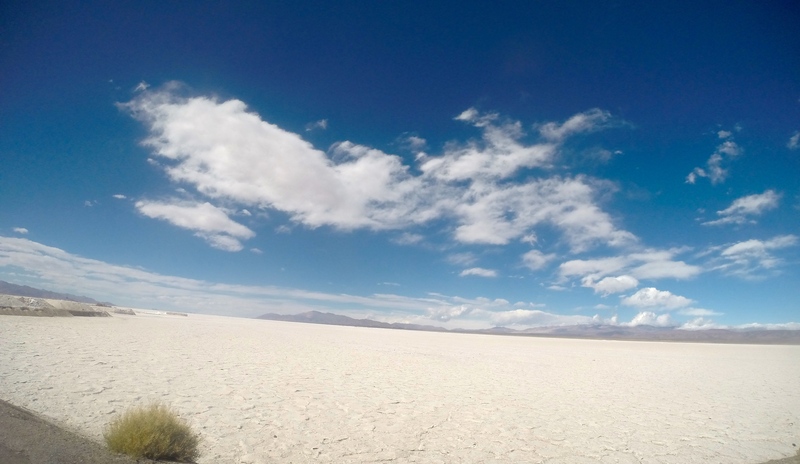 The road crossing the Andes is beautiful; llamas, alpacas, sheep, desert, mountains, fog, and the driver even give a 15 minute rest stop at salt flats for photos and much needed fresh air. One of the worlds most amazing mountain roads, this ear popping, jaw dropping, decent is exactly the kind you don’t want to teeter down in a double decker bus. After the mountain pass I had to change buses in Jujuy and pulled into Salta around midnight after more than 14 hours on the bus. Note to travelers, always pack plenty of fresh snacks and a full bottle of water before embarking on a long bus ride. By the time a lady walked on the bus selling melenesa sandwich I would eat anything. The next morning I woke up in Salta central square Plaza 9 de Julio and enjoyed a stroll through town and a ride up the Salta gondola. 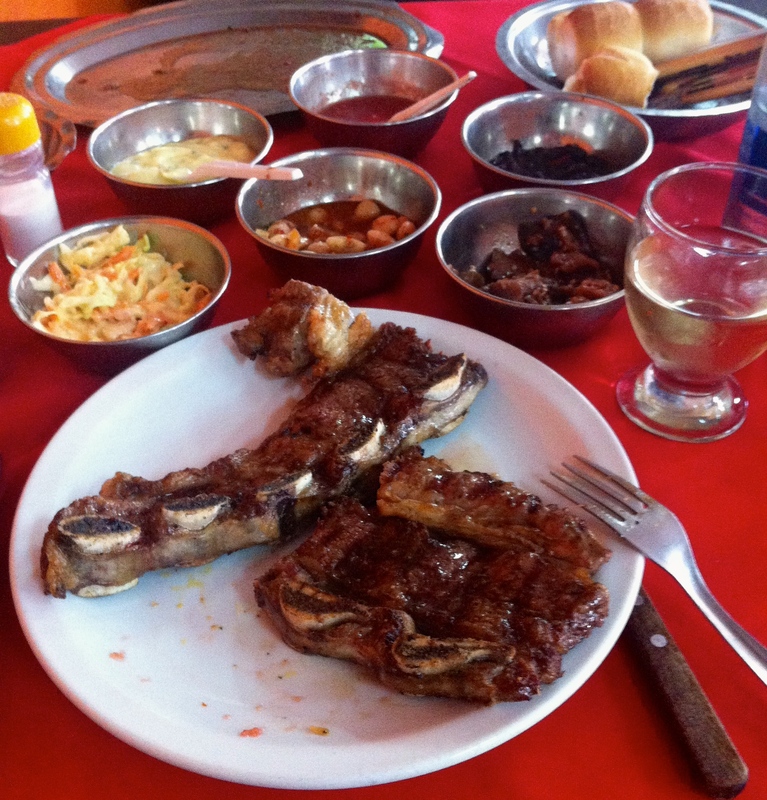 It was thanksgiving in the US and my Facebook page was full of turkey, so I found La Monumental, the BEST Parilla in Salta and treated myself to a big steak. The Terra Asado was truly outstanding and the 6 small sides to top bread and carne were the added treat that keeps this locals favorite restaurant packed all day. 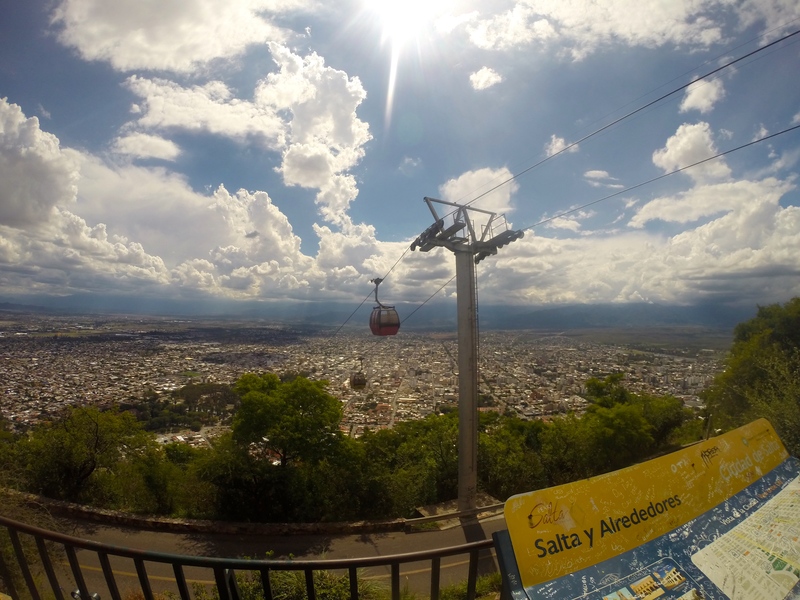 The following day I went rafting and ziplineing, the primary reason for my stop in Salta. 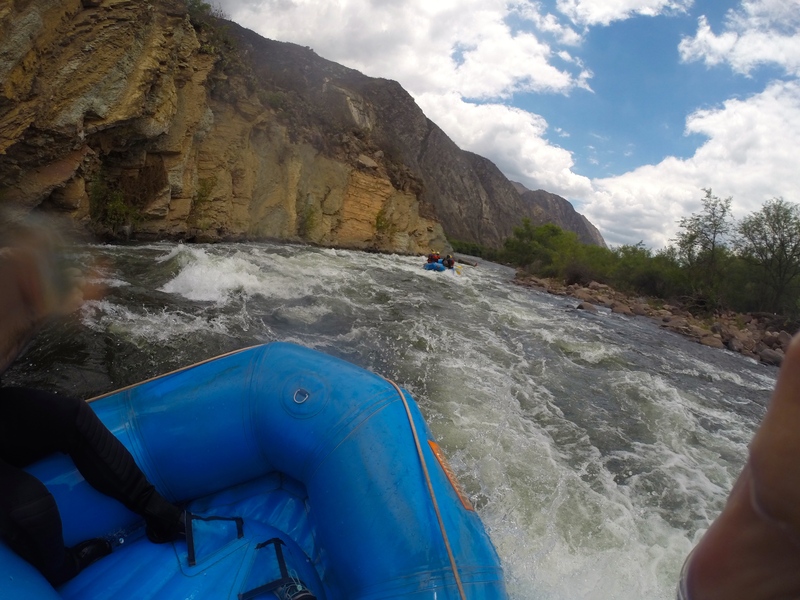 Salta Rafting takes tours of up to 15 2 hours out of town and past two damn to their location at the foot on the Andes for some of Argentina’s best rafting. 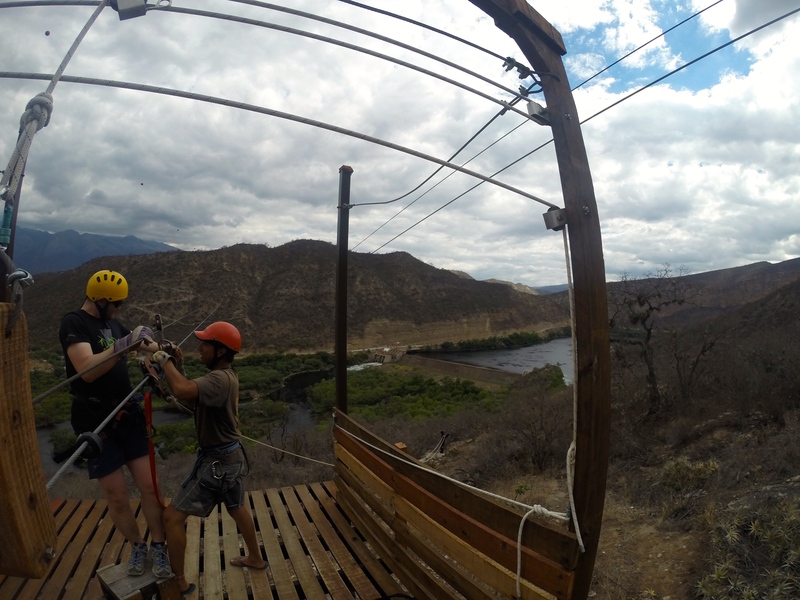 The full day package included rafting, parilla and salad lunch followed by zip lining. After rafting, beer and lunch it took considerable effort to hike up 250 meters up to the first of 4 lines zipping across the river valley. The full days adventure excursion was an excellent value around $100USD. 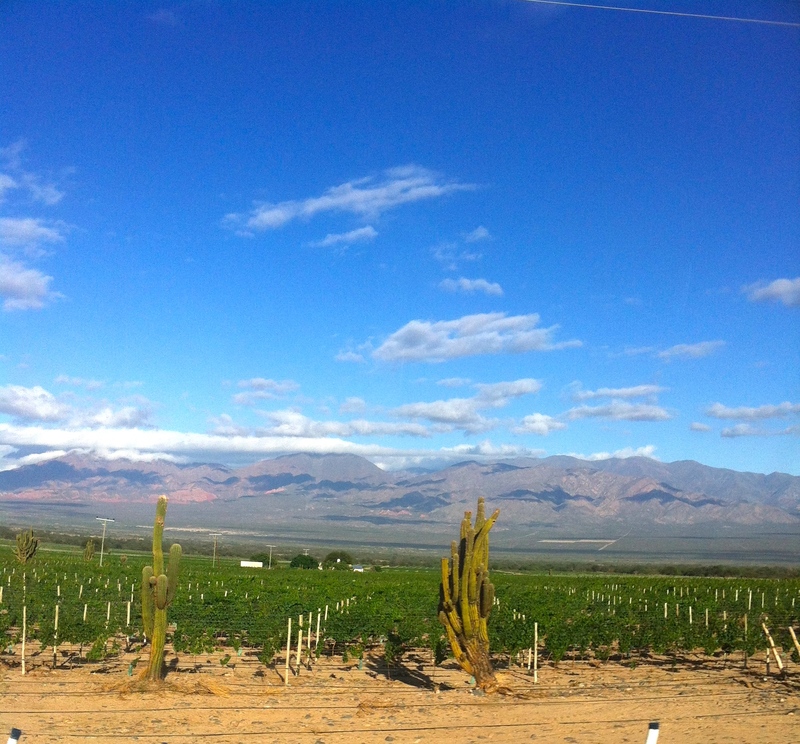 After Salta I took a local bus 4 hours south to the most remote wine region I have ever been too. Cafayate is a small town with a dozen bodegas in and around town ready and waiting for tourists. Cafayate is as set up for tourism as Sonoma, take a tour, ride a bike of just walk to the wineries in town for a day of local wine fun. Unfortunately on the bus ride to Cafayate I was taking pictures of the Andes spectacular flooded rock formations and lost my camera, including all the pictures of Salta. The first of several blunders in my last week of travel, the following day I broke my kindle while overpacking a backpack. There are only 4 buses in or out of Cafayate Monday through Saturday, and on Sunday there are only 2; 6am and 6pm. So since I was leaving on a Sunday I had to wait until 6pm, after a day of over indulgence I passed the day in the hostel doing homework and nursing my hangover with yerba matte before I caught the 6pm bus to Tucuman. I arrived around midnight and was able to make a quick turnaround and get another bus to Cordoba with less than 10 minute wait. I arrived in Cordoba Monday morning at 8am and dropped my bag off in a central, but crappy, hotel. My first stop in most towns is the central market and while overall Cordoba market is not thrilling, the parilla on the outside rim serves a mixed grill for one (typically only for 2 or more) so I bellied up to the grill and was delivered 8 different cuts; morcella, white sausage, sweet breads, intestines, beef rib, belly cut, loin, and a pork chop. I had to waddle back at a leisurely pace. The long pedestrian main street made for good people watching, but the crowds kept me aware of the zippers on my backpack. 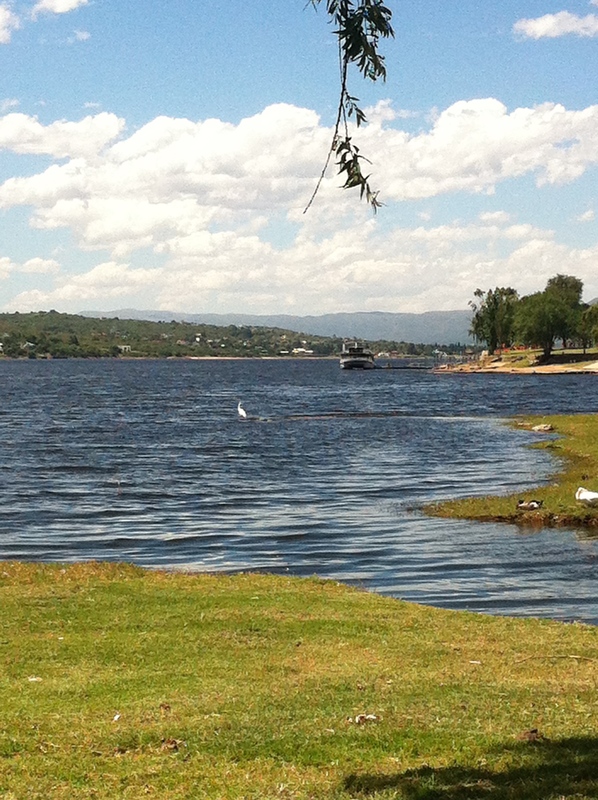 Tuesday I took a bus to nearby casino lake town of Carlos Paz. After wandering around the town and sitting by a lake so polluted you can’t swim in it, I turned back to Cordoba early and ate a good sushi dinner before a full day travel where I hoped to end in Colonia de Sacramento. 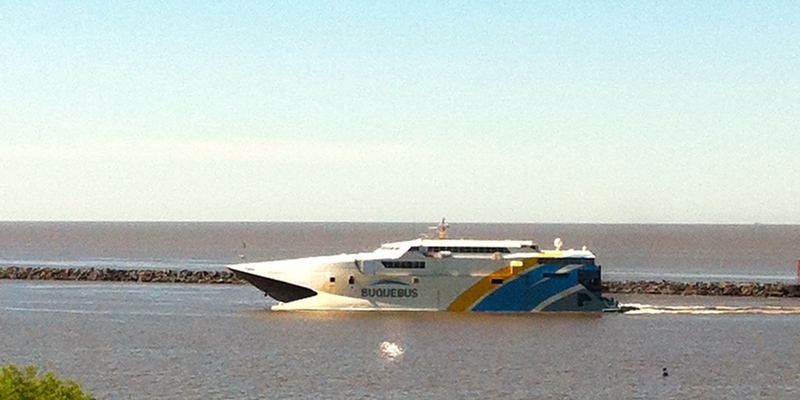 I ended up leaving at midnight for Buenos Aires, where I took a Remis (private taxi) to Buque Bus dock and was able to hop on the boat to Colonia with less than 5 minutes to spare. I had started my trip in Buenos Aires two months earlier, rushing from the airport bus to the Buque bus to Colonia where I was the last person on the boat. As I settled into one of the last seats, in the same part of the boat I smiled at the symmetry of ending where I began, in Uruguay. Thanks Shari – so glad you enjoy the adventure. let me know if you ever have travel planning questions.